Talk is Cheap and I mean that figuratively and literally. Did you know you can surf the internet now for as low as 1 peso? That’s five hours of web surfing time that translates to PhP5.00 worth of online access per day! 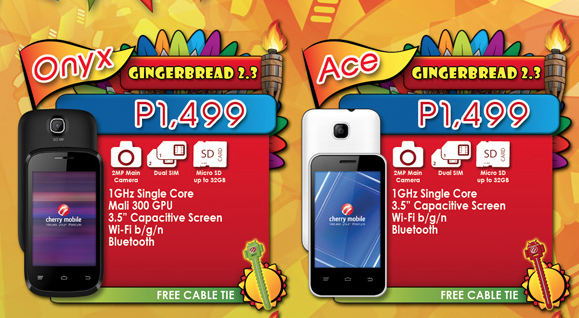 That’s what SMART Prepaid is offering and what about Globe Prepaid? It too has its own special rate for its die-hard followers: PhP50 for one day unlimited internet surfing — even when you’re also on a Postpaid Plan! So why are you still talking on the phone when you can use Viber, WhatsApp, KakaoTalk, WeChat, and Line to do all the for free! With unlimited access on the web, we haven’t mentioned that it’s a great tool to search for answers on assignments and homeworks you’re finishing while reading up on the latest news on Yahoo! and/or on Inquirer.net. Smartphones are more affordable than ever before. We have at least four small Android OS operated phone-players raking it big in the mobile scene with Cherry Mobile picking up huge swaths of the curious market and where Starmobile, O+, and myPhone are all but cashing in to the growing market yearning to be connected on the Internet. Filipinos are more and more beginning to ask: Why stay offline and miss all the fun? Why pass up the latest buzz and trends on the Internet where people converge from different backgrounds; Where businesses continue to engage customers and build relationships with old and new followers like never before, and where news never gets old and gets re-tweeted, re-posted, and becomes insanely viral creating more memes and other graphic tales so to speak. So Who Might Take the Crown Away from 7 Eleven? Family Mart is sprouting everywhere in the Metro these days and it’s refreshing to see them around. I love how I can comfortably sit on their nice and comfortable tables and chairs. I can have a good cup of coffee without really spending too much while working on my laptop – I hope they offer free wifi soon. It’s cozy and spacious and yes they have their own restroom too. When it comes to food, their choices are new compared to 7-Eleven and Mini Stop stores. Their soft serve is a must try too and is not a popular spot. This is definitely one Convenient Store that offers advantage and practicality to the consumers. Looks like the stakeholders of Family Mart did their research well as an alternative to run-of-the-mill convenience stores.